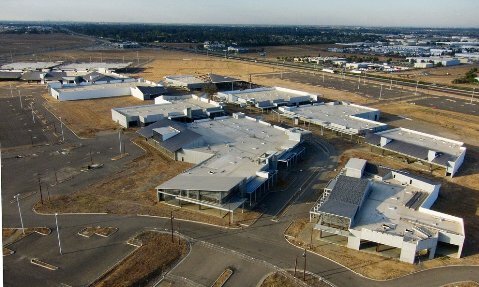 The City of Elk Grove formally announced that it has reached a settlement agreement with M & H Realty Partners, and Elk Grove Town Center L.P. – a subsidiary of The Howard Hughes Corporation. In a press release issued this morning, the City said "The agreement will allow for economic development to flourish near the area known as the Southeast Policy Area (SEPA). Located adjacent to SEPA, these developments will complement the City’s first City-initiated master plan since incorporation in July 2000 and the last large-scale development within the urbanized portion of the city limits." No details of the agreement were released. The settlement stems from a lawsuit filed by M&H last November after the City allowed HHC out of the development agreement saying they had breached the agreement. M&H, who was still bound by the development agreement for the special planning area contended that by voiding HHC's portion, they were put at a competitive disadvantage in term of recruiting tenants. With the settlement, city leaders hope after almost seven years, construction on the unfinished mall can resume. Construction of the facility, which was called The Elk Grove Promenade, came to an abrupt halt in July, 2008 and has been something of an albatross around the city's neck as it sought to diversify its economy. Yesterday the City of Elk Grove erroneous posted the settlement information on the Elk Grove Laguna Forum web chat site but took it down. I've listened to this Mall banter for 7-8 years...will get excited when I see the heavy equipment moving in and a crew of workers on site. I do think it will help that M & H Realty is now back in the picture as before and what they do will be a major factor in how the Outlet Mall succeeds in getting built & leased. Still wonder about two malls being located so close together. The "GROW" may be our only hope.